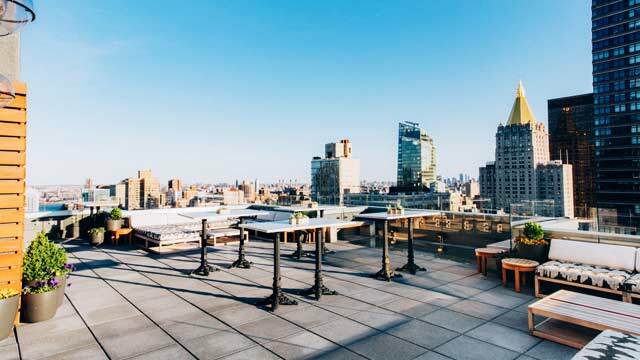 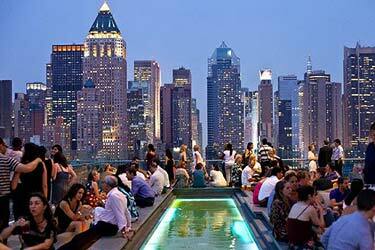 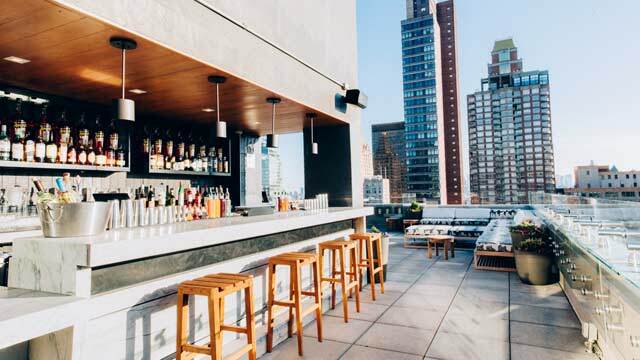 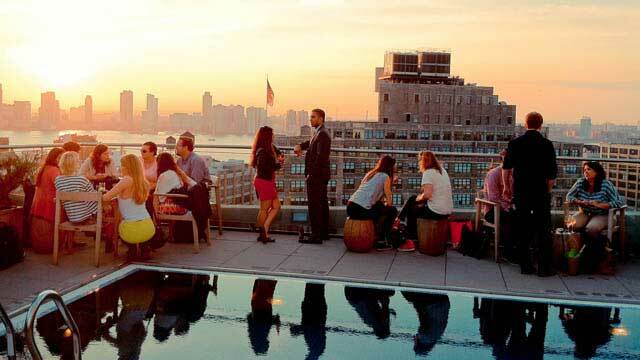 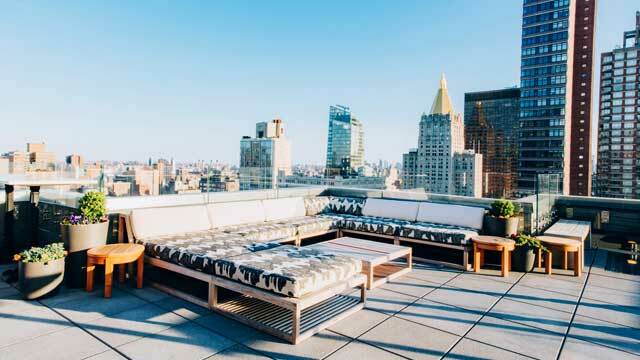 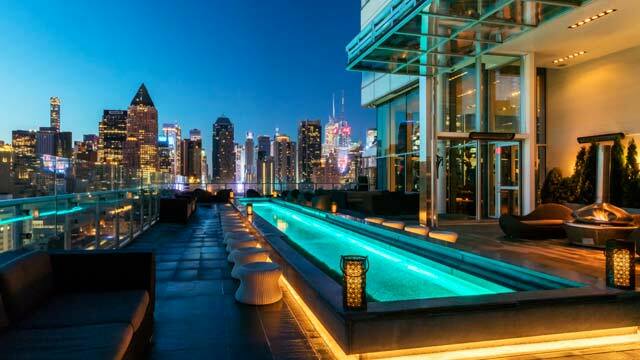 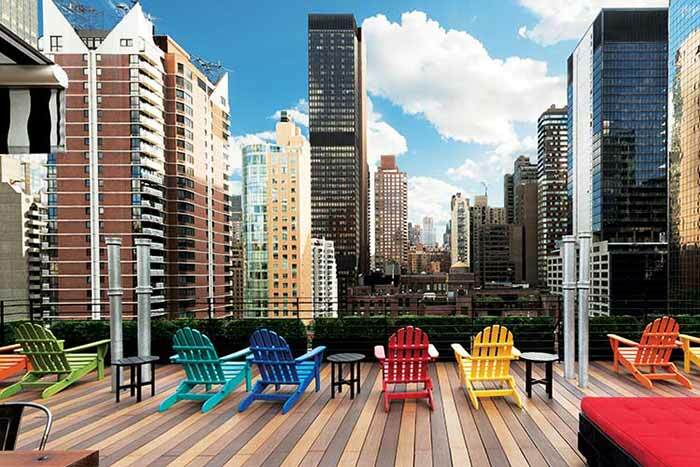 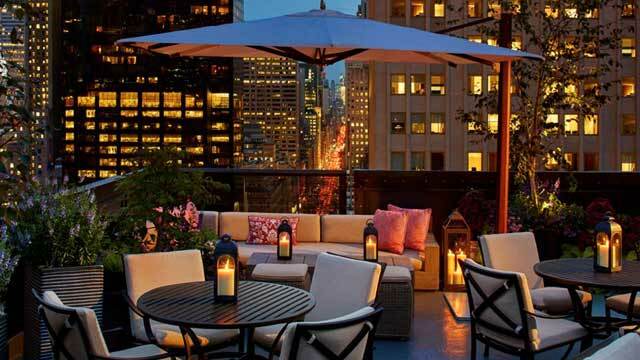 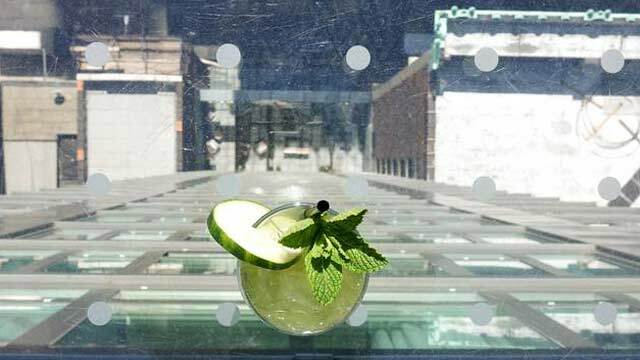 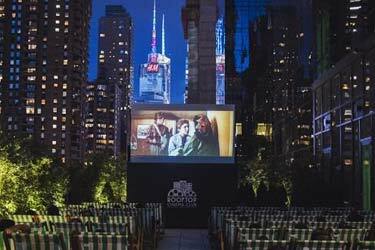 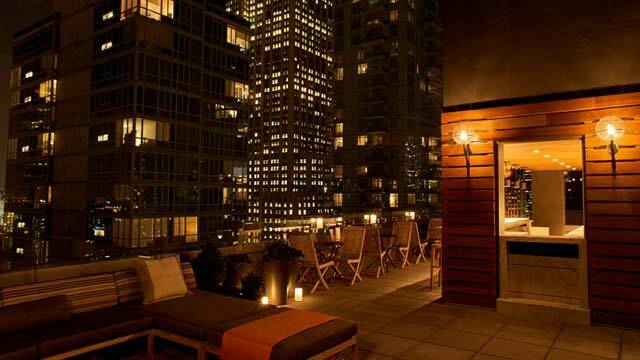 All the way up at hotel Arlo NoMad you find this relaxed NYC rooftop bar, called The Heights, with superb views over both Downtown and uptown Manhattan, even letting you catch the Empire State Building. 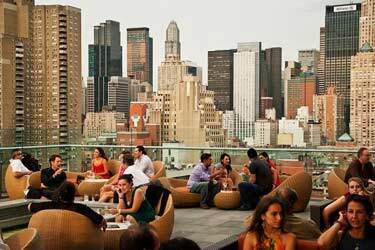 Not the biggest terrace in town, but with a very open and airy feel. 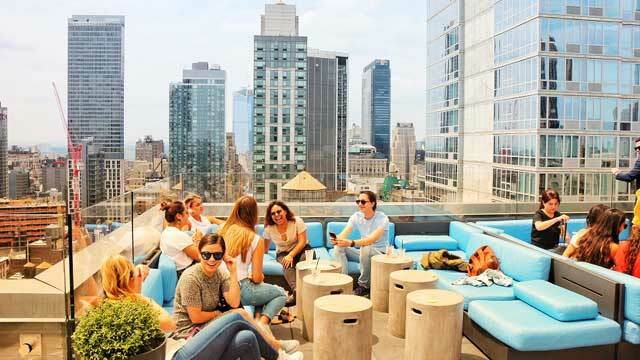 The rooftop bar at Arlo features a great set of signature cocktails and a Froze (frozen rosé wine) along with beer on tap and chips and guacamole to snack on. 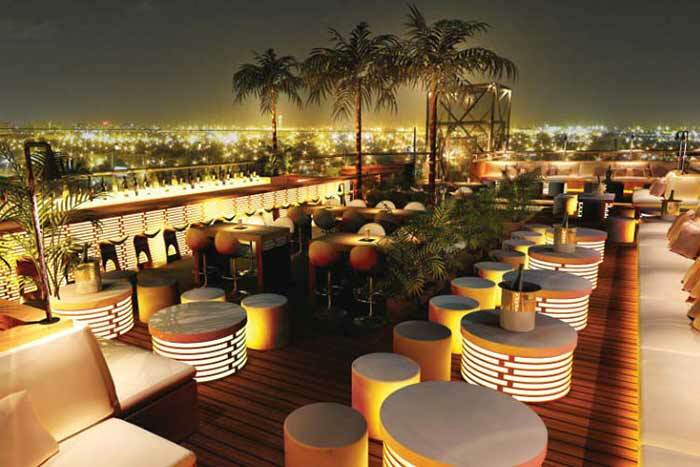 Quite a scaled down menu, and so is the decór, with some lounge sofas and some standing tables. 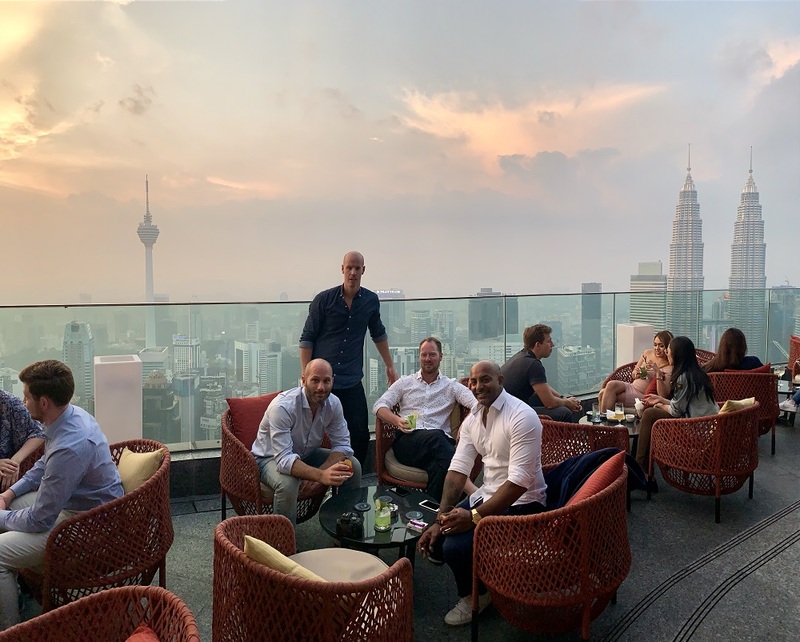 And this is the best thing about The Heights rooftop, it is at a luxurious location but offers an unpretentious and relaxing atmosphere, where you don't have to get to fancy to sit back and enjoy a drink and the views. 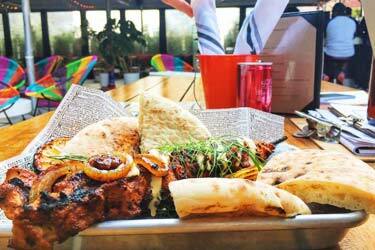 Read our review of a visit at The Heights in June 2018, which included skyline views and tasty guacamole in a vibrant atmosphere.